* Padres v. Henderson: Represented Major League Baseball franchisee in numerous challenges to new ballpark and ancillary commercial and residential redevelopment project. * Property closure dispute: Represented mobile home park operator in dispute concerning closure and reuse of property. * Kearney v. Foley & Lardner LLP: Represented international law firm in defense of RICO, civil rights and fraud claims. * McMillin-NTC LLC v. Redevelopment Agency of the City of San Diego: Represented master developer in San Diego Naval Training Center closure and redevelopment project litigation. * Representation of software developer: Represented software developer in defense of various fraud, unfair business practices and contract actions. 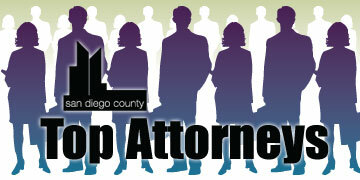 Mark Zebrowski is co-chair of the Commercial Litigation Group and is managing partner of the San Diego office. His practice includes real estate, consumer class action, Section 17200 litigation, partnership and shareholder disputes, and general commercial litigation matters. Zebrowski has practiced in San Diego for more than 26 years. 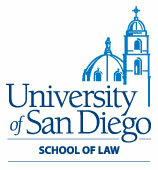 He successfully represented the San Diego Padres in a series of suits seeking to block the construction of the downtown baseball park, Petco Park. He has also defended top law firms in legal malpractice actions. Zebrowski is past president of the San Diego Chapter of the Association of Business Trial Lawyers, a founding Master in the Wallace Chapter of the American Inns of Court, and a director of Conversations About Cancer, a nonprofit organization.